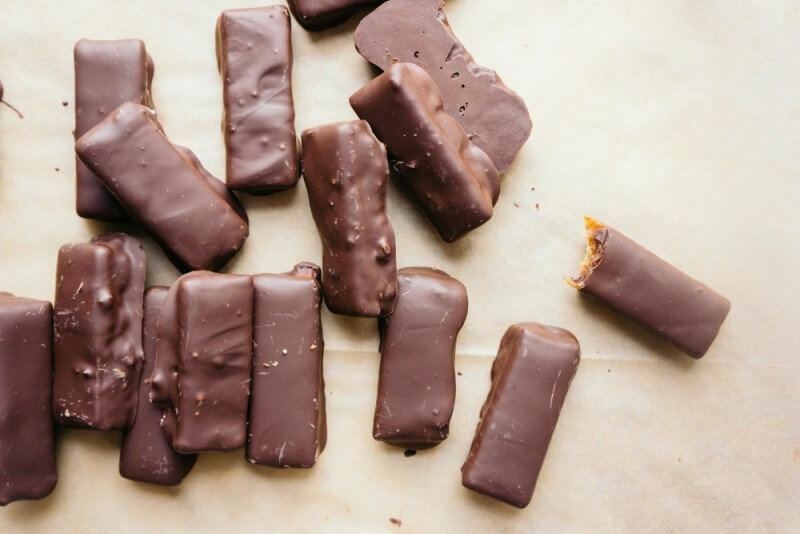 Here are 21 different unique recipes that use Twix as their inspiration. There are cakes, brownies, milkshakes, shots, pies, and even raw, vegan, and gluten free versions. Are those human sized portions? 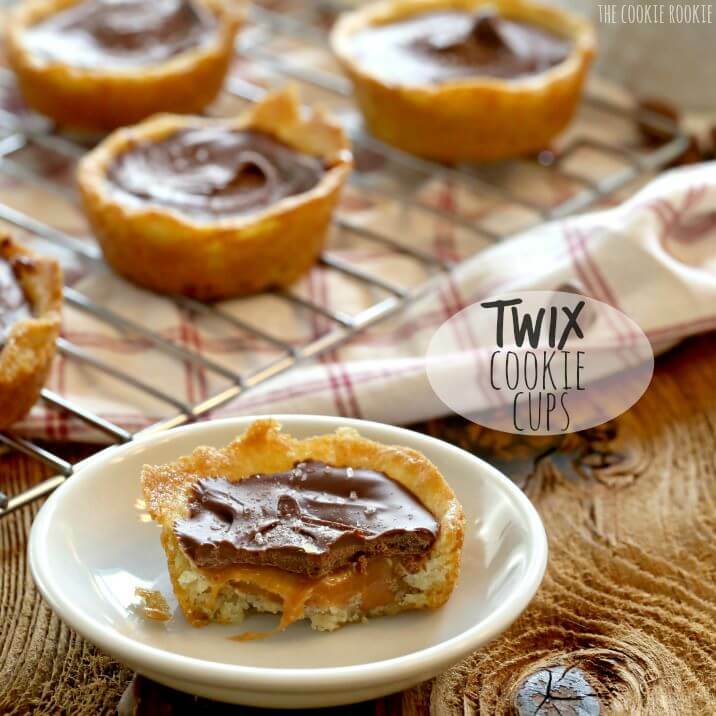 Twix topped with more Twix. 10/10 would eat. 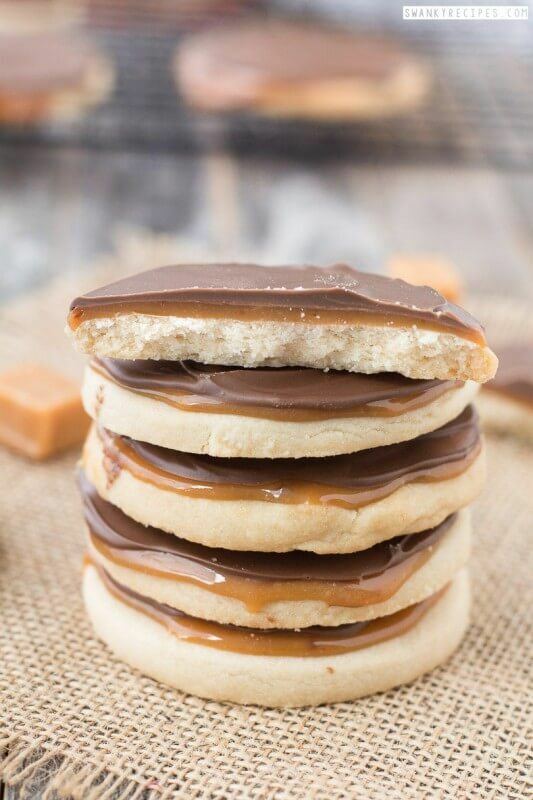 Researching this recipe I came across a lot of homemade Twix recipes but none came close to looking like the original as much as these did. I especially loved that she made her own cookie base (although I won't blame you for cheating and buying something). If you want to make everything from scratch though, this is the way to go. See how she did it at lovecommacake.com and take a moment to admire the chocolatey goodness in the first picture on the page. This recipe uses homemade shortbread cookies instead of sugar cookies, but the principle is similar. In fact, spelled out like this, you could probably whip up some amazing Twix cookies with just about any type of cookie, some caramel chews, and melted chocolate ships. Of course, making it from scratch isn't that hard and more fun anyway. See how Jessica does it at swankyrecipes.com.